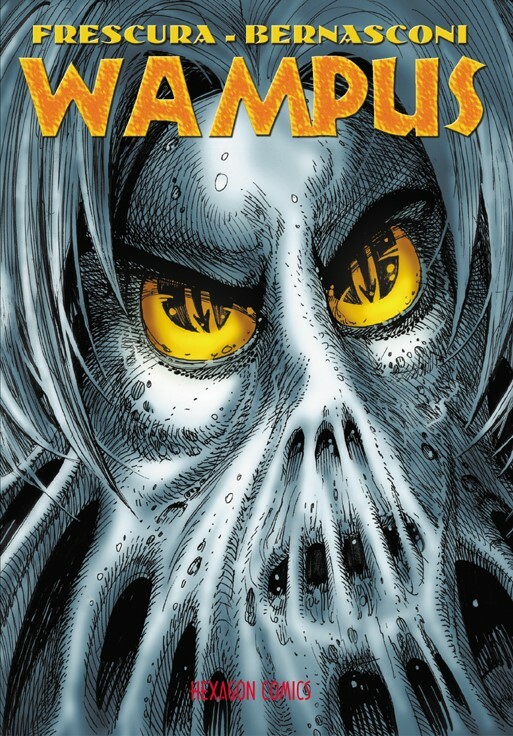 WAMPUS by Franco Frescura and Luciano Bernasconi, cover by Stephen R. Bissette, colors by Oliver & Stephane Peru. - Bonus pages: Preview of Wampus #2. Story: An alien shapeshifter arrives on Earth to create chaos. "I ate it up when my copy arrived and have already reread it, it's such grand fun; a heady stew of bogus sf/alien/espionage/terrorism circa the '60s, working up to staggering global political/social collapse (orchestrated by the translucent noodle-bodied badboy Wampus) that builds upon the anarchistic spirit of none other than Diabolik -- hence, a missing link of sorts in European comics history, between the archetype of Fantomas and the coming wave of underground comix radicalism. Love, love, love it, highly recommended!" S.R. Bissette. Wampus is one of the great alien monsters of comics... [an] obscure gem of bande dessinée pulp paranoia.